The Georgia Bulldogs steamrolled the Florida Atlantic Owls this past weekend to move back into the Top Five of the AP poll for the first time since September 20, 2008. It was another step in the right direction for the Bulldogs, whom many thought would never be a true national championship contender again under current head coach Mark Richt. The Bulldogs offense was firing on all cylinders as it piled up a school-record 713 yards. Georgia was led by Heisman candidate Aaron Murray, who passed for a career-best 342 yards (14-of-19 passing) and accounted for four total touchdowns in the rout. Most impressive for Murray was the touch on his deep ball, which has been a weakness he worked on all summer. Murray continued his season long trend of spreading the ball around to multiple receivers. In fact, six players had 43 yards or more receiving yards against the Owls. However, it is sophomore receiver Michael Bennett who is becoming Murray’s most consistent threat. Bennett is the Bulldogs’ leading receiver, both in receptions with 17 and receiving yardage with 265. As predicted, both freshman running backs for Georgia, Todd Gurley and Keith Marshall, rushed for over 100 yards each. Gurley rushed the ball 10 times for 111 yards, with Marshall adding 10 carries for 104, both players scoring one touchdown. Gurley and Marshall are not only best friends off of the field, they also complement each other perfectly on the field. The dynamic duo has combined for 458 yards on 60 carries (7.6 YPC) and scored six total touchdowns. For the defense, however, it was once again a tale of two halves. Florida Atlantic torched the Bulldogs, racking up 263 yards and 14 points in the first half. Moreover, the Owls converted eight of their first 11 third downs. Those numbers are bad regardless of who the Bulldogs were facing. However, when you take into consideration the Owls only scored 24 points in their first two games combined, it puts into perspective how flat Todd Grantham’s defense was in the first half. The Bulldogs were without two All-Americans in Jarvis Jones and Bacarri Rambo. 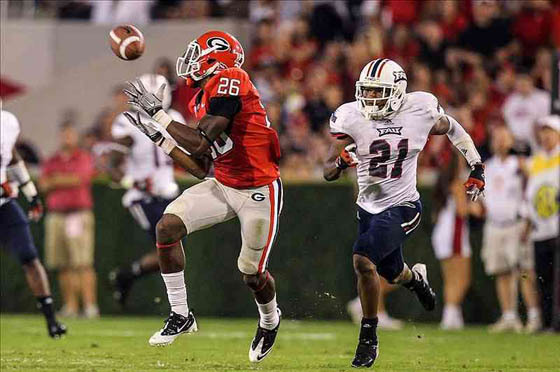 Georgia was also without preseason All-SEC linebacker Alec Ogletree, and DE/LB Cornelius Washington played sparingly. That, however, should not be an excuse for how poorly they played in the first half. The same unit held Florida Atlantic to 55 yards and three first downs in the second half and zero offensive touchdowns. It wasn’t all bad for the Bulldog defenders. Linebacker Amarlo Herrera continued his sophomore emergence, with seven tackles (six solo) and an interception he returned 35 yards for a touchdown. Junior outside linebacker Chase Vasser was solid in his return from a two-game suspension, with seven tackles, including 1.5 tackles for loss. Special teams was solid for the Bulldogs once again. Richt chose to use the punt-by-committee approach once again, with the two punters combing for a 46.3 yard-per-punt average. The big story in special teams might have been Marshall Morgan, who made all eight of his extra points cleanly for the first time in his young career. The Bulldogs ultimately did what they wanted to do, and that was win the game with as few injuries as possible. Yes the defense lacked zeal in the first half, but the offense was spectacular and could have had 900 yards if it chose. The defense broke the 700 mark with 10 minutes remaining in the fourth quarter.  Dr. SEC is a contributor to SicEmDawgs.com. Follow him on Twitter and Facebook.